Building a new website is an exciting venture for any property management company looking to highlight their brand, increase leads, and reduce vacancies. But with technologies and trends constantly changing, it's sometimes hard to know where to start and what the desired finished product might look like. Here are some tips about time-tested best practices, as well as changing design and functional trends for 2018 and beyond. The concept of designing "above the fold" comes from the practice of jamming the top half of a newspaper (literally, above its fold) with as much information and visuals as possible to capture the reader's attention. On the web, the fold refers to the invisible line at the bottom of the screen that separates all the content that can be seen at one time. The idea of the fold has led designers to pack as much information as possible in the sp ace the user initially sees when they land on a webpage, assuming that this may be the only content they end up viewing. Internet users have evolved past the need to be bombarded with information when they land on a webpage. They no longer need instructions – scrolling has become an intuitive practice and they often start scrolling almost as soon as the page loads. Plus, with the variation in screen sizes and resolutions that exist today, the perceived online "fold" can be different for nearly every user. It's more productive to be concerned with how to best display information for viewers on mobile, tablet, and desktop devices, than it is to be concerned with cramming as much information as possible at the top of the page. It's also important to spread your content throughout longer pages, which satisfies the user's need to scroll while making your website look more reputable. For example, your homepage acts as a preview for what's on your website. Scrolling helps guide your visitors through this preview, and creates a narrative about the flow of information that exists throughout your site. So, what should the user see when they land on a webpage? A beautiful banner image is a popular choice for users who live in a highly visual world. Meeting the user with a strong, attractive visual of your property or neighbourhood entices them to continue scrolling, and can even sell them on a property before they read all of the details. With HTML5, videos are easier to integrate into websites than ever before. Video banners have become popular due to their attractiveness and ability to quickly provide a variety of visuals that will be associated with your brand. Responsive design is not a new trend anymore, but that doesn't mean it has become any less important. In fact, with over 72% of potential renters reaching your website on a mobile device, designing for mobile is more important than ever before. Designers will keep this in mind when mapping out a website for every screen size, but creating screens for mobile devices sometimes means placing restrictions or altering designs on the largest screen sizes, too. The goal is to achieve unity between the screens at every size, so your website always feels like your website, for yourself and your users, too! The internet is a unique medium, and web designers are uniquely trained in this medium's best practices. It's also their job to keep up with general and industry design trends to make sure your website represents your brand and generates leads. They know how to get the most out of available tools, how to give users the best possible experience, and what to avoid. 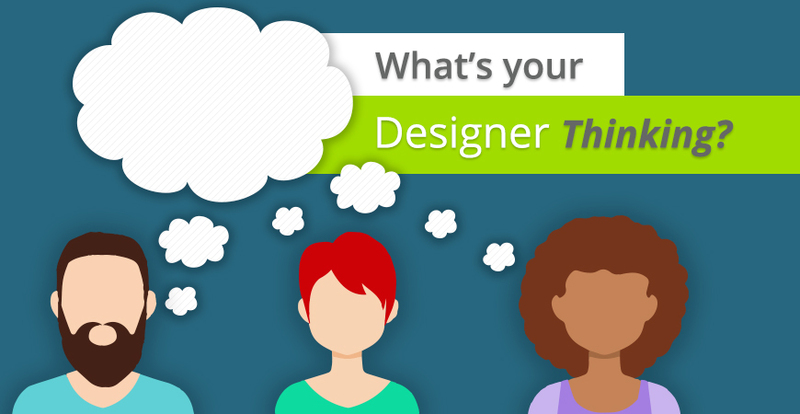 Sharing your ideas and visualizations of your website is a great starting point for your designer. From there, their expertise and creativity can shine! 1. Banner videos and images should be high quality. If you're going to use an HTML5 video banner, remember to keep videos short and to use high quality footage. Otherwise, the video will be more of a pain to users than a pleasure. Low quality photos look stretched and pixelated when used in a large area. 2. Choose the right colours. Inclusive design is important to improving internet accessibility. This involves using colour schemes that reflect the needs and abilities of all users equally. Remember that colours can be bold, but that they should accentuate your content, not overwhelm it. 3. The navigation should be intuitive. Hiding menu items under a menu icon, moving the navigation from the top to the side or bottom of the page, and using a fixed navigation are all ways to spruce your website up while maintaining easy navigation and user flow. Remember that your most important menu items should be displayed in the main navigation, whereas less important items can be placed in the footer. Consider who will be visiting your website most often, and what they will be looking for, when making this decision. When sharing images with your designer at the beginning of the project, be sure to share content with them as well. This allows your brand to be fully integrated into every section of the website, which further helps improve your SEO value. 5. Be open to new features. Microinteractions and subtle animations have been growing in popularity over the years, but new technologies have allowed designers to integrate even more cool features into websites. An interactive community map is one such feature for property management websites, but there are many more examples out there. Do some exploring, and if you have any questions talk with a designer!